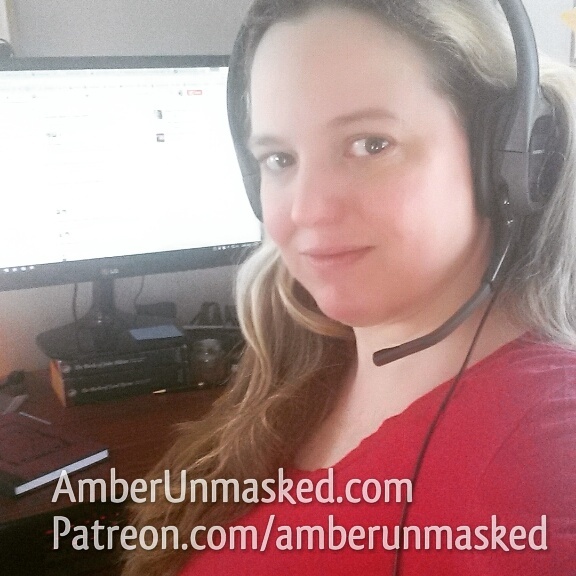 KATE FOIL 01-JUNE-2015 Most days, when I attend an event, I have a game plan. I bring friends – both for fun and for security. Traveling alone as a woman and one with an anxiety disorder usually isn’t the best idea for me. I know where I’m going, I have money on me, I have planned out my outfit… Ok I picked an outfit 24 hours in advance. Close enough. 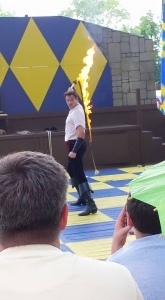 However, this past Saturday I found myself at the New Jersey Ren Faire without a single plan beyond “I need to unwind.” I’m not sure if I ever qualified for the terms rennie or playtron. At most, I worked VaRF for one season selling jewelry and attended the NC faire once or twice a season. Most of my garb has been given or packed away. But after bad news from the vet, and having to skip Awesome Con, I was in need of something cheerful. Which is why I, spur of moment, mapquested the fairegrounds, threw on a black petticoat, my chemise and a black and red waist trainer and called myself a pirate wench. Good enough right? Let’s just ignore my purse, which is actually a messenger bag with the Inquisition symbol from Dragon Age 3. It was $22 (the nice fairy at the gate counted my lame attempt at garb and I got two dollars off) for the day. I was thankful they took cards at the gate. I hadn’t even stopped by an ATM so I had very small amount of cash on me – let’s just be honest here, I was stressed past thinking rationally. At first I was slightly confused. The NJ fairgrounds includes minigolf, but I was willing to roll with it. Walking past the gate, I was – at first – slightly disappointed. Your first view of the grounds seems rather small – until you keep walking. A Faire themed rendition of “These are a few of my favorite things” brought a smile to my face, and I was quickly entranced with the fact that this Faire has a LAKE. There is a friggin’ lake with a little stream that is incredibly pleasant to sit next to in the shade. It was quite hot, at least for a woman in black petticoats and corset, however there were plenty of vendors with cold water and a free water fountain as well. Heads up: It does have the sulfur smell that I know, from living in WV, is perfectly fine but still weirds me out. I used it to fill an empty bottle and wet parts of my petticoat and chemise during the hottest parts of the day. If it doesn’t bother you, huzzah! And if it does, you might wanna bring some bottles of water yourself. There was a nice variety of foods as well and the food vendors themselves were quite friendly. I was pleased by the selection and grabbed a bit of ice cream and a mango slushie to help beat the heat. Worth noting to my non-Jewish friends: There was an entire booth that specialized in bacon called “Bacon Broads”. The cast were quite polite and friendly and the grounds were sufficiently family friendly, including a large play ship for kids to climb all over. I’m not sure if that is always on the grounds or if the faire set it up, but either way it was a kid magnet. Speaking of family friendly, there is not a lot of drinking at the event which is unusual at Faires in my experience and was quite refreshing. As an alcoholic in recovery, it’s sometimes hard to attend events where drinking isn’t heavily part of the event. I don’t begrudge anyone their ale at a Faire, but it’s hard to say no over and over to something you actually want quite badly! There is a booth for a local winery, but that was about it and it was fairly confined to that tent. The entertainment was also fantastic. I caught several performances midshow and stopped watched Jacques the Whipper’s act several times. 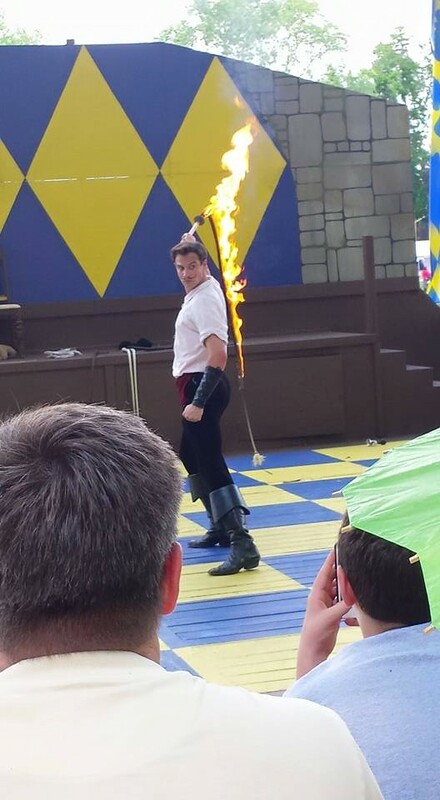 I’m a sucker for an accented man wielding fire and whips, what can I say? I noticed there was also a live musical on classical instruments group playing near the lake that provided a lovely ambiance for the Faire, particularly soothing if you plopped on the grass nearby to rest your feet. Not that I did that. At all. Ever. This being a very spur of the moment trip, I didn’t buy much. There were some lovely weapon vendors there and a variety of leathercrafters as well. I would love to see more corset and bodice dealers in the future but that’s because it’s me and I am addicted to corsets. I did nearly succumb and buy a sun umbrella from Traders of Tamerlane (quite reasonably priced!) but I just didn’t have enough on me to justify it. There was also a scavenger hunt in place, “Quest for the Rose” and it was delightful to watch children running around to different cast members and vendors as they tried to solve the puzzles. I noticed a few vendors using Square but the majority I encountered (food vendors anyway) were cash only, which is pretty much what I expected from a Faire! There is an ATM on the grounds but I would suggest actually planning ahead (don’t be me) and bringing a bit of cash for food and other pretties. 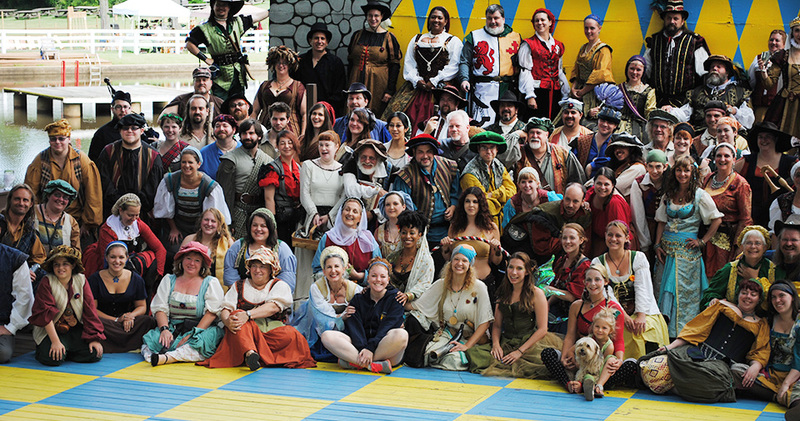 The overall feel of the Faire was quite warm and welcoming. I kept fairly to myself – being rather shy when on my own – but didn’t feel shut out. When I made an effort to speak to someone, they were happy to engage me and quite kind. I was not pestered by catcalling or rude remarks and felt quite safe laying on the grass with my eyes shut. When I arrived at the Faire, I was emotionally worn out. I left refreshed. Nobody cared that my garb wasn’t perfect or that I couldn’t keep my accent. I highly suggest this Faire and will certainly be back! * Kate Foil is a consummate goofball and friend of the fairies. At faire she can usually be found near shiny things, be they swords or jewelry. Kate can be found at: @GamerNationGirl on Twitter or TheGeekyRedhead on Facebook. The most disrespectful things you can say to someone with mental illness.